taisha paggett’s work challenges dance, visual art, activism and education: What do they demand of us? How do they shape communities? What possibilities do they offer? 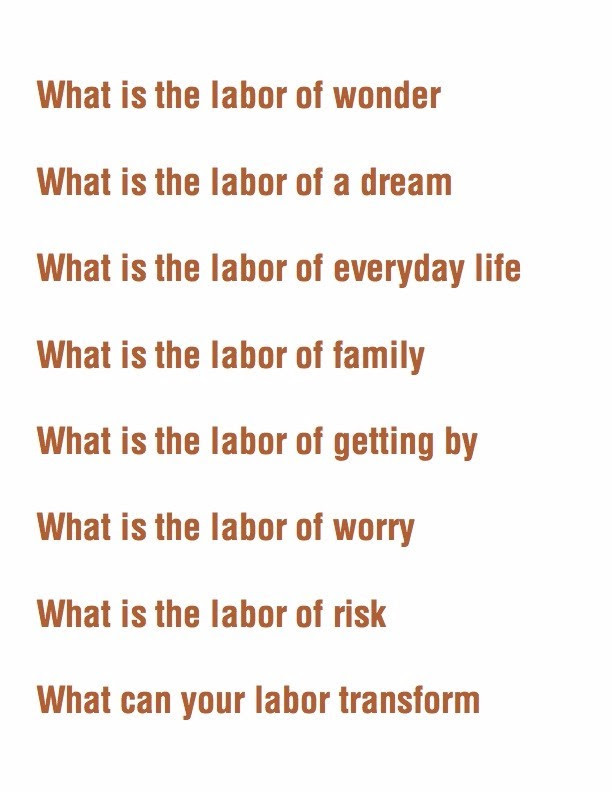 paggett asks these questions with communities like the Los Angeles Garment Worker Center, Veteran’s Resource Centers, and Houston’s Project Row Houses –colliding choreographic practices with the politics of daily life, to interrogate notions of black and queer embodiment and survival. The body becomes a site of new agency in the performances, video, installations, ‘zines, workshops, micro-lectures, pedagogical scores, and participatory experiences that emerge. 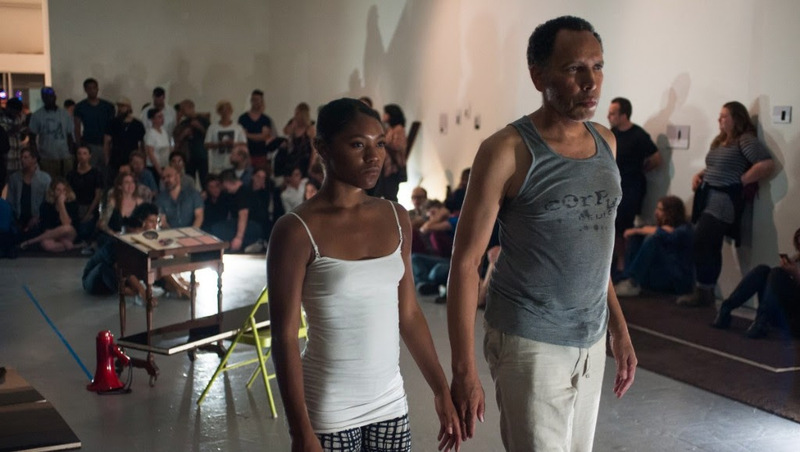 This summer paggett is in residence at Velocity’s Seattle Festival of Dance Improvisation (SFDI) offering a five-day intensive The Poetics of Resistance focused around the question: How do people of color and bodies on the margins endure in these times? Past projects provide a glimpse into her compelling approach: Participants co-created an archive of questions directed to the White House for paggett’s installation and ‘zine Undeliverable Address: 53 Questions that will not be answered by the White House (2005), created with long-time collaborator Ashley Hunt. Her engagement with Project Row Houses, focused on the ways we feel safe in our communities, and was reflected upon in the And And And platform of Documenta 13. The School for the Movement of the Technicolor People, an installation and performance platform, took the form of a temporary dance school shaped by the question, “What is a Black dance curriculum today?” Inspired in part by a “school for colored youth” paggett’s family members founded in early 20th century East Texas, at its core is the dance company WXPT (We are the Paper, We are the Trees) — a temporary, experimental community of queer people of color and allies, dancers and non-dancers. Take a moment to watch WXPT performance evereachmore (2015) activate a post-industrial lot along the LA River. paggett’s work has enlivened spaces from the Whitney Biennial, to The Studio Museum in Harlem, to Fusebox Festival, and the banks of the Los Angeles River. Now, Seattlites have the rare opportunity to participate in paggett’s process. How do people of color and bodies on the margins endure in these times? This intensive employs improvisation, in and out of contact, as both a movement practice and strategy for re-conceptualizing and standing inside ideas of unlearning, solidarity, sustainable care, “freedom” and resistance.